Biography: In the past 25 years, this is the fourth stained glass project with which various students at CCS have been involved--other installations are at the Baldwin Public Library in Birmingham, and two separate installations for the Huntington Woods Public Library. 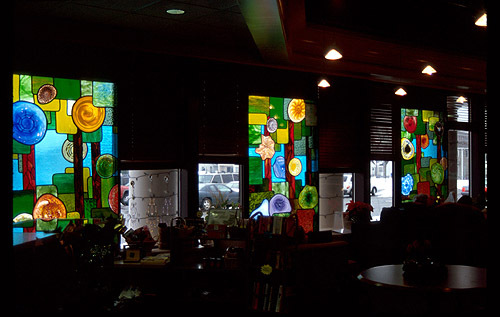 All stained glass work has been under the tutelage of CCS glass professor and section chair Herb Babcock of Oxford, MI. Babcock received his BFA from the Cleveland Institute of Art and his MFA from Cranbrook Academy of Art in Bloomfield Hills, MI.